This sculpture is known as the Gayer-Anderson Cat, named after Major Robert Grenville Gayer-Anderson who, together with Mary Stout Shaw, donated it to The British Museum, London. The statue is a representation of the cat-goddess Bastet. The cat wears jewellery and a protective wedjat amulet and is decorated with a winged scarab that appears on the chest and head. A copy of the statue is kept in the Gayer-Anderson Museum, located in Cairo. 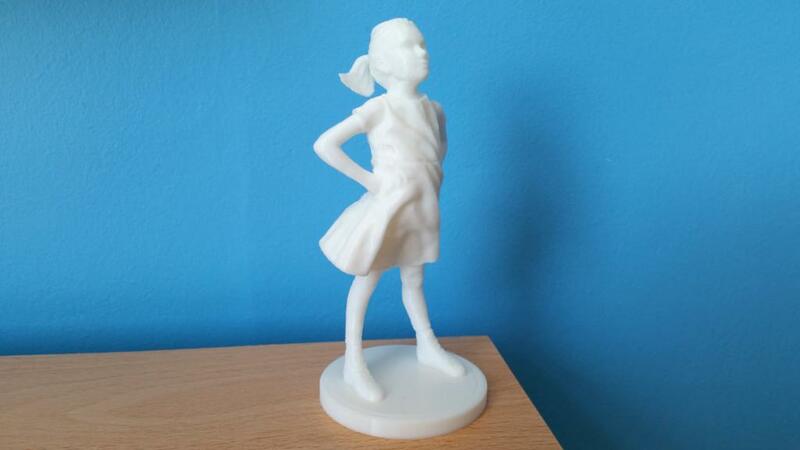 Historical objects that Scan the World collects were not created for 3D printing. Many of them require a lot of supports to be added. In the case with “The Wrestlers”, even the faces needed supporting. We disabled an automatic support option in order to minimize the post process cleaning. However, we failed to detect one of the places where the supports were needed. As a result, one arm didn’t come out well. 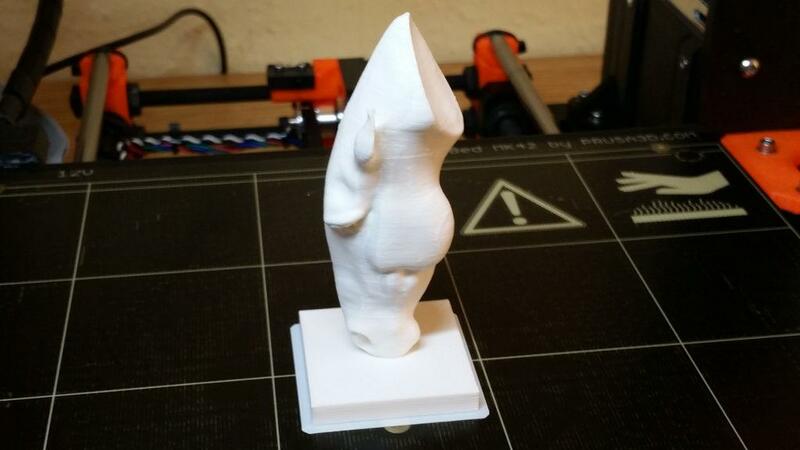 There are many things to consider while 3D printing out Scan The Wolrd objects. It may be quite difficult for those who are new to 3D printing. Scan The World’s vast collection includes pieces art and architectural landmarks. You can find Big Ben, Eiffel Tower, Roman Coliseum and others. Old sculptures are supplemented by modern art. Marwari Horse Head, a popular in 3D printing community sculpture, is located in Hyde Park corner at Marble Arch in London. It is one of the rare objects in the Scan The World collection that can be printed without supports. There is an interesting feature on MyMiniFactory’s website – an interactive map. 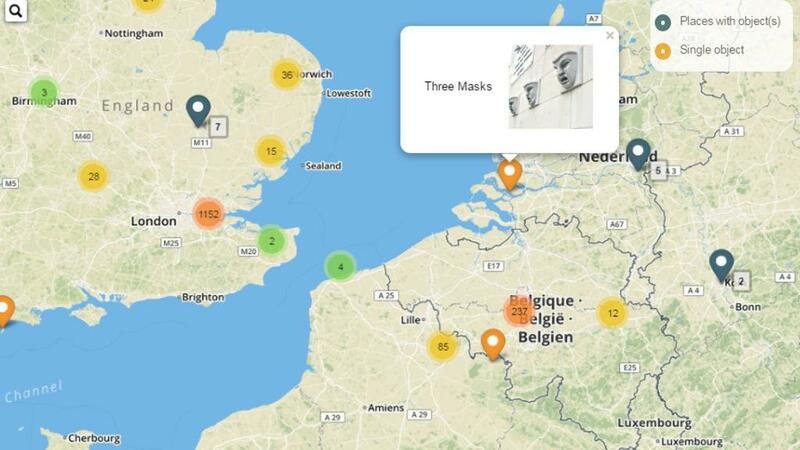 By scrolling through the map it is possible to see which pieces of art come from which area. Is your local area rich in historical heritage? The website also has a catalog of museums around the world, that are a generous ground for 3D scan hunters. We should all be grateful to those enthusiasts who dedicate their time and efforts scanning the masterpieces and filling this amazing collection. We made a YouTube video about Scan The World initiative. We have 3D printed quite a few of the objects from MyMiniFactory’s collection and here we share our tips and tricks. We also wanted to contribute. Thames Dolphin lamp standard’s history goes back to the 19th century. We scanned one of the creatures by taking as many pictures as we could from all possible angles. As we couldn’t cover all the angles, we’ve done some fixing in Autodesk ReMake and sculpting in Meshmixer. 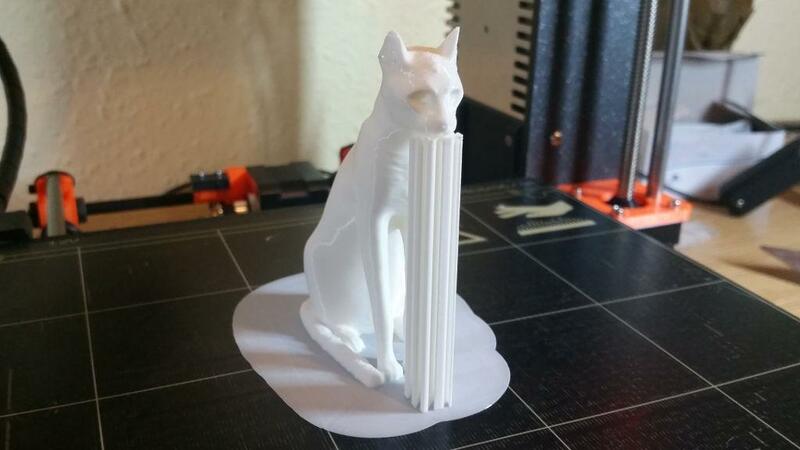 It printed very well and it didn’t need many supports. After a huge amount of time spent patching and fixing, we have a lovely replica of the Dolphin Standard. On our DeltaWasp, we were able to print a nearly life-sized model. Can’t wait to spray paint it in gold, so that we have our own Golden Dolphin standard on our terrace. What is Scan The World? 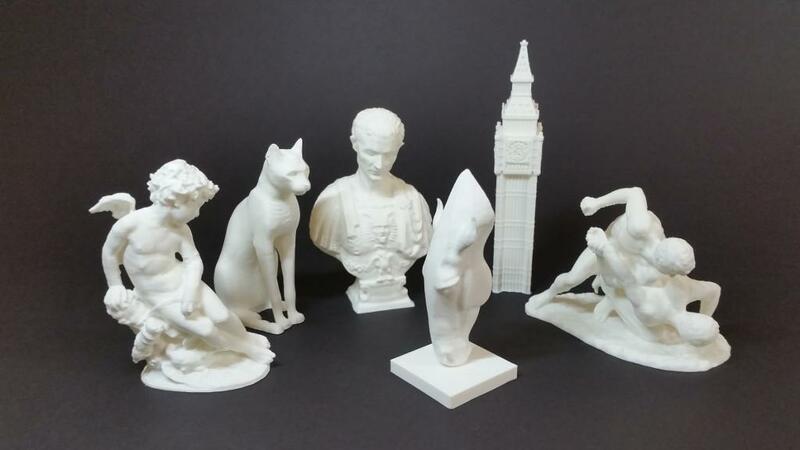 Scan the world is an ambitious initiative whose mission is to archive the world’s sculptures and objects of cultural significance in a form suitable for 3D printing. Expressive yet controversial sculpture in Wall Street, New York. 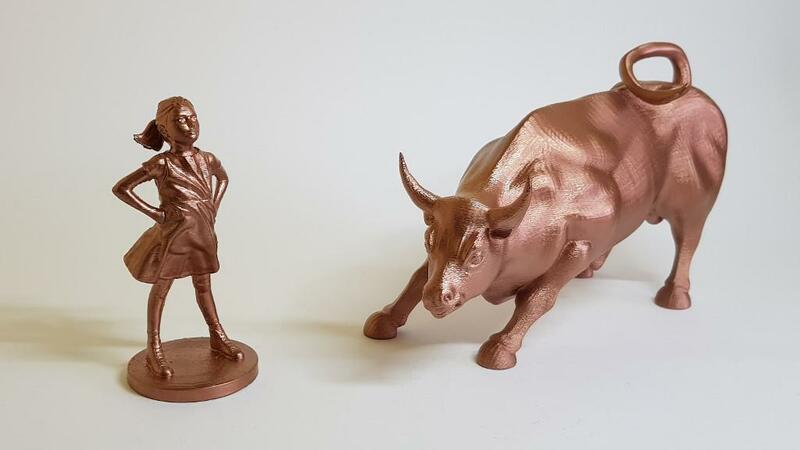 A young girl is facing the bull to raise awareness about the lack of females in key corporate positions. 3D printed in white PLA, 0.2 layer height.